The 25 Math Short Cuts Newsletter ( 25 MSC Newsletter ) is published to kick off the celebration of the 25th Foundation Day of MSC Institute of Technology. The 25 MSC Newsletter will of course feature one Math Short Cut every week, as we count down the weeks till our Foundation Day in December 2015. I have selected what I think will be most useful to the readers, whether they are students, teachers, professionals or plain folks who encounter math problems every day. Much of the hard work in compiling this work is not in researching for materials because I know these short cuts by heart but in selecting what short cuts to include. We will start with basic short cuts and progress to advanced short cuts as we go along. We teach these to all our high school students in MSC, and in our MATH-Inic courses to highlight our focus in Math Science and Computing. 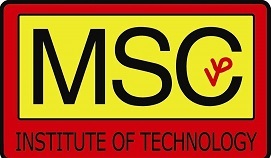 The 25 MSC Newletter will feature stories about the 25 years of MSC Institute of Technology in San Pablo City. Finally, 25 MSC Newsletter will tell you about our vision and how we plan to serve students in our community. This entry was posted in Events, MATH-Inic and tagged 25 MSC, 25 MSC Newsletter, Math short cuts on June 8, 2014 by mscadmin.